A lovely day sail aboard Ron Young's 1937 classic wooden hulled "Youngster", from the San Francisco Yacht Club in Belvedere, California to the St. Francis Yacht Club in San Francisco. Participants were Ron Young, Marc Lambros and his son Silas, Joan Wheeler, a friend of Ron's from Marblehead, Massachusetts, and photographer Stephen Somerstein. 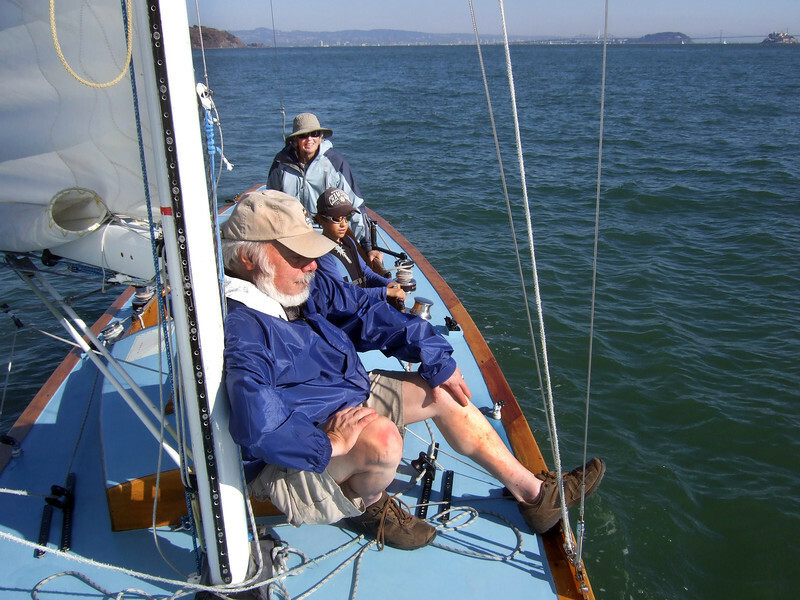 Front, Stephen Somerstein; Middle, Silas, Marc Lambros' son; Far, Ron Young's lady friend Joan Wheeler - Sailing on San Francisco Bay on Ron Young's classic wooden boat "Youngster"